This month’s Secret L&D manager is German, based in Germany and works for a global automotive supply company. He/She has worked in training and development for over 7 years. What is important to you when designing and rolling out a leadership program? For me a successful leadership or senior manager program in our company can never be a “one size fits all” solution. Leadership and people management is not like a manual. We don’t want a “that’s how you have to do it” approach and we are serious about offering an individualized approach. The programs we build with companies like Target give people a chance to identify whatever they need and benefit from support in applying this in their day-to-day tasks – or in their life as a whole. Individuals take different things from the program. Who do you target when you set up management and leadership programs? When I set up a leadership program we are typically involving managers and leaders from a broad range of different functions – from HR to finance, logistics to manufacturing etc. This means I have to exclude functional topics from the training design because they won’t be relevant to the whole group. What kind or development areas are you targeting when you set up management and leadership programs? We’re working in a very fast-paced environment and there are always a lot of changes going on. A lot of our managers and leaders are firefighting, and really involved in operational work. We want to focus on soft skills like strategic thinking, so that they can step out of the operational and build a broader view of everything. It is really important for me that our managers have the chance to step back and have a look at the broader picture – this means looking especially at strategy and finance. The leadership program needs to tackle what finance means for our company and to ensure the leaders have a big picture of company decisions that are made based on our financial performance. This extends to them having a broader view on strategy. Our programs support them in building a strategic view of the company, their area and their immediate objectives. We also want them to develop a stronger understanding of the consequences their own behaviours have, for example, on an individual, team or another department. If they are stressed out and don’t recognise that somebody in their team is drifting away, that’s not good. The programs develop them to focus on their people – their team is what makes their life easier in the end. They need to see not only themselves, their own workload, their own fires that are burning but also to focus more on their people and our overall strategy and values. Do to summarize, strategy, finance, self-awareness, leading teams, and managing and developing the people they are leading. We want them to just take a step back and have a look at this and to have also the chance to experiment with tools, models and ideas. Not every tool is suitable for every person so they should decide on their own what they want to apply in the day to day what’s useful for them. What is important to you when designing the training interventions which make up such a program? I want them to work in groups and have personal time with the trainer. We have a mixture of formats including 1-to-1 intakes, using a tool such as DISC or MBTI, face-to-face seminars, virtual workshops and individual coaching. As the participants in the program are coming from all over Europe we also look to reduce travel costs and time using webinars, e-learning, virtual training sessions. The intakes, accountability calls and transfer coaching are all normally done via phone calls or using Webex. Then there are 3 to 4 onsite events with the groups coming together and meeting each other. These could be at the headquarters, a nice seminar hotel or near a plant (so we can organize a plant visit). Cost- and time- wise it is just not possible that they are travelling every few weeks. What are you looking for from the trainers? The trainers, of course are a very important element. When we look for trainers it is important to us that they are flexible. Our audience is usually, during the day, under pressure and there can be last minute things coming up so they are not able to attend a the whole session or training. So we need the trainer to be timewise as flexible as possible so if somebody missed some content they don’t get lost in the program. The trainer needs to help them and give an insight into what has been done. They need to be supportive with the people through the whole process – that is really important. Then of course that they have to be able to handle different personalities, functions, nationalities and cultures. You mentioned culture – what role does this play in delivering the training? This is a huge challenge, I can tell you. It depends a little bit on which positions the people are coming from. If they are coming from central positions and travelling a lot, meeting a lot of people etc. then usually they are open to everything and it’s easier to work with them. People coming from the production sites somewhere far away in the middle of nowhere – then it’s sometimes hard for them to connect with the other leaders and the softer stuff. It’s also hard for the trainers to manage them in the right way because they are really stuck in their culture. They are not as open as the people who are already used to being in this international environment – but it’s really important to get them to the stage where they are more open to the other cultures and diverse people. How do your managers and leader react to the programs you offer? And how do you assess the training ? The reaction of the operational leaders to this approach is very very positive. There are people who are more willing to open up and to work on themselves than others but I must say that those people who opened up completely are the ones that benefited the most from the program in the end. About assessment, after the training I usually do a post training assessment where it’s a questionnaire where I ask people different sort of questions. Although many professionals, managers and training managers know of virtual delivery there is still some confusion as to what it is and how it works. Here are some common questions we get asked when supporting our clients in integrating virtual training into their learning strategies. For more information on this topic, see also 5 questions you definitely need to ask when you are setting up a virtual training program. What do we mean when we talk about virtual training or virtual delivery? Virtual training (also known as virtual delivery or remote delivery) is training where one or more of the participants is not in the same room as the trainer. Training is delivered using one of the many “unified communication platforms”. This term includes web conferencing tools such as WebEx Training Center, Adobe Connect, Go Meeting or Skype for Business and video conferencing services such as BlueJeans or Polycom. People often think of virtual training as an international solution. For example, we’ve delivered a virtual session with the trainer based in Frankfurt, Germany and having participants in Hawaii, Boston, Luxembourg and Singapore. However, if you have a trainer in one location on a site and you have participants on the same site/same country but in different rooms – that’s virtual training too. How does virtual delivery differ from e-learning or webinars? E-learning is led by the learner and there is no live trainer. The learning is self-paced through interacting with a computer-aided learning program. A simple example is Duolingo as an app for language learning. SkillSoft is an examples of e-learning aimed at developing your soft skills. A webinar is speaker-led and has probably about 50 people maximum – although some webinars have hundreds in the audience. The webinar is delivered through video or a video conferencing platform online and the presenter is talking most of the time. At the end he or she has the ability to take questions and if they are using a producer they can engineer interactive moments e.g. asking for input via a poll during the webinar. Virtual training is a trainer plus participants. Ideally the training is interactive, engaging and adaptive the needs of the participants. What does virtual training give you that a webinar doesn’t? Put simply, virtual training is about learning through interaction, engagement and personalization – it is active learning. This includes learning from the trainer, learning from personal experiences and from each other via e.g. discussions and experience sharing. Webinars are comparable with lectures or online presentations – learning is passive and based solely around the speaker and the content they are sharing. How many participants can you train virtually at the same time? Surprisingly, many people assume that virtual means more participants. This is often based around experiences in webinars with 50 people plus. In a face-to-face training seminar, we would never try and deliver training to 50 participants in the same room. Typically, we suggest 8-12 participants with 14 being a maximum. Years of experience have shown us that an ideal number for highly-interactive virtual training is about 6-8 people. With a small group like this you can make sure that people have a chance to interact with each other in a more intimate way, using options like breakout rooms found in the more functional platforms such as WebEx Training Center or Adobe Connect. These breakout rooms offer the same benefits as integrating small group activities in a training room. This interaction is really important because a lot of the value of training, whether it’s virtual or face-to-face, is the interaction that the participants have with each other. They don’t just learn from the trainer but through each other too! What is a producer and why do we need one? At Target Training we offer all of our solutions in a virtual format too. This includes in-house Business English with our Virtual InCorporate Trainer , Presenting in a virtual environment and Working in and Leading virtual teams. If you would like to know more about our virtual solutions, save time and money and extend your training reach then please contact us. Finally, see here to read more about delivering training virtually. More and more of our clients are embracing delivering training virtually. Many are striving towards a global training solution where everyone has access to the same high quality of training no matter where they are based. Others are need to cut travel costs. Some are moving towards bite-sized learning and providing training in smaller chunks. This growth in interest has meant that at Target Training, we’re finding ourselves frequently taking on a consulting role with those clients who have little or no experience in virtual training. Below are some of the key questions we’ve been encouraging our clients to ask themselves. Q1. How much experience do your participants have working with virtual platforms? It’s important to match the virtual platform you use for delivering training with your staff’s experience and comfort zones. How familiar are the participants joining the virtual training with virtual communication in general? What can they already do? And which systems do they regularly use for e.g. virtual meetings? Some participants using video conference tools every day for their regular check-ins with their virtual colleagues. In this kind of environment, you would want to take advantage of their skills and deliver training using a rich virtual platform with diverse and useful functionalities. Webex Training Center and Adobe Connect are great examples. However if your staff are completely new to this kind of work and new to these platforms then don’t worry. Don’t spend a lot of money on a top-end virtual training platform when people can’t use the tools. There are a lot of simple yet effective platforms that could work for your people, and their simplicity means that they will probably have an easier time working with it and therefore use it more often. Consider Skype for Business, Polycom or BlueJeans. Target tip – Choose a virtual training platform which matches your staff’s experience and comfort zone. Q2. What is the lowest common denominator when it comes to your technical infrastructure? Many of our clients are looking for pan-global training solutions for their staff around the world – everybody should be able to benefit from the same training. However, if in certain parts of the world the bandwidth available is very slow, cameras are disabled, sound cards aren’t standard etc this will inevitably cause problems and negatively impact the training. Either that person is going to have real difficulty fully participating in the training and/or it will also cause delays for everyone else. You have 2 choices – either work with the lowest common denominators when it comes to your technical infrastructure and then adapt the training to this level OR choose to split the training group based on technical capabilities. Target tip – Respect and adapt to the lowest common denominators when it comes to your technical infrastructure. Q3. How much experience do your staff have in being trained virtually? Connected to the first two questions, if you are going to set up virtual training approach for people who have had little or no experience of receiving virtual training before then you need to plan in time to teach them how to make the most of the virtual training environment. Your training provider should be able to do this for you. Part of this time will be spent training the participants on how to use the technology AND you also need to help your participants learn more about how virtual training can look and feel different. Comparing it to a classic face-to-face seminar won’t help. If you are looking at virtual training for your virtual teams then you can kill 2 birds with one stone here – they will develop their virtual communication skills and strengthen their team at the same time! Target tip – Invest a little time training people to learn and develop in a virtual training environment. This could be part of the very first session or a separate event. Q4. How many people are you planning to invite to each virtual training session? When it comes to classic face-to-face seminars most people are aware that if you want to keep the training interactive and relevant to each individual you need to limit the group size. Groups of 10- 14 are standard practice. When it comes to virtual training many clients assume much larger groups are possible. Most of the time this is due to confusing e-learning and webinars with virtual training. The maximum number of people we would suggest inviting to a virtual training session is impacted by two factors. Secondly, it depends on how easily you can manage the group and keep it interactive and relevant to the individual participants. We strongly recommend smaller groups – six is the magic number. Larger groups of up to 16 can work when you choose to use a “producer” to support the trainer. The producer helps the trainer to manage the functionalities and tools within the platform, and to keep an eye on interaction and questions. They’ll also step in when the technology causes problems. Target tip – Keep training groups smaller than you normally would for face-to-face training. Invest in a producer when you want larger groups as it will be better value than running sessions twice. Q5. What are we doing before or after the virtual training session to boost the learning and drive transfer to our workplace? Think about how you can make this a more enriched learning environment, and how you can help your staff apply what they learn to their workplace. An example of pre- and/or post-training could be using your in-house learning management system. Maybe a “flipped classroom” work where a lot of the learning is inputted before the virtual training itself (meaning the virtual training session focuses on application)? How about individual accountability calls with the trainer after the training? Or on-the-job coaching delivered virtually as in our Presenting in a virtual environment training? Target tip – Position the virtual training as part of a learning journey. Support managers and employees in understanding the role they play in maximizing the return on the training investment. This eBook can help you. If you are interested in learning more about virtual training please reach out to us. We would love to help you. 1. I Can – Believe it or Believe it not! As Henry Ford once said “Whether you believe you can do something or whether you believe you can’t you’re right!“ Decide to believe in yourself – your potential is infinite and your best has yet to come! 2. Creativity – yours is infinite – let it soar! We are born creative! Even though we may not have used our creativity for a long time it’s still there waiting to be unleashed! Like the tin man in the Wizard of Oz, it may need a drop of oil! Today do something totally new or something old in a totally new way. Your creative ability is infinite. Observe any children at play and you will see infinite creativity in full swing! Let them inspire you! Learn to put your attention where it’s needed most and on what’s truly important in the present moment. As our society continues to get faster and faster, the tendency is to cultivate a mind which is always “racing” and prone to distraction. We must learn to relax our minds. Learn meditation, relaxation, yoga, mindfulness, tai chi or similar forms of exercise which cultivate stilling your mind and improving your attention. 4. Newness – your brain thrives on newness! When you first arrived on this planet everything was new and in those first few years you learnt to walk, talk, recognise, eat and much much more! In times of great change we learn greatly! So remember if we resist change, we are also resisting learning! So travel to a totally different culture, learn something you thought you couldn’t learn and continuously try new ways of doing old things. If it doesn’t work, so what, learn from it and try something different instead! Before learning anything set yourself a goal – the who, what, when, where, why, how of what you’re learning. 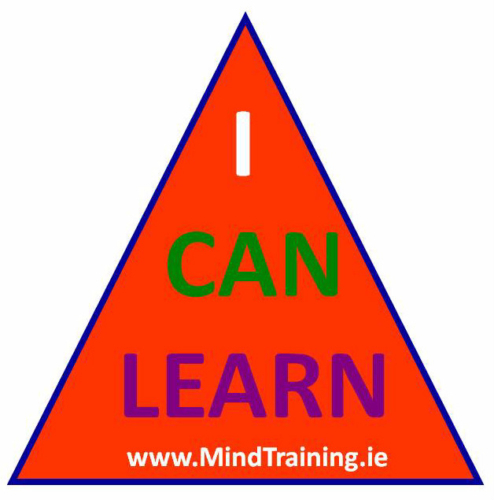 Ask yourself – how will I know I’ve learnt it – how will you test yourself? Get an overview of what needs to be learnt. Use the left and right side of your brain – the logical and the creative. For example use colour, words, images, structure, movement, rhythm, excitement, humour. Above all make it an enjoyable experience! After achieving your learning goal ask yourself – what worked and what could be done better next time? Recent research in Japan showed that people who exercise three times a week for half an hour have mental abilities 30% greater than those who don’t. It really stands to reason – do you think you learn more effectively if you physically exercise regularly? Test it and see – take time to exercise. The exercise can be gentle like walking, swimming, cycling or whatever type of exercise you like. No matter how much of your brains potential you have used so far, there is always more to use – you have at least 100 billion brain cells. The reason that we believe “mental abilities get worse with age” is because most people believe it! There was a time when we all thought the world was flat as well! We were all wrong! Begin to believe that your … mental abilities can soar with age… exercise them and as they say “use it or lose it”. Whatever behaviour is reinforced will tend to be repeated – so keep on noticing what’s working and celebrate it! Keep on reinforcing what it is you would like more of in your life. Think about everything that is working, then ask yourself – how can I improve the rest? Learning is growth. Growth is learning. Never stop learning. Never quit exploring. Your canvas awaits your creative masterpiece. Never give up learning! Never give up learning to learn! Now if you’ve read this far, congrats and remember as Einstein said “the true power of knowledge is in its application”. Decide to take at least one action after reading this article and learn more … effectively, enjoyably and easily! Let us know how it goes! https://www.targettraining.eu/wp-content/uploads/2018/06/shutterstock_465742940.jpg 630 1702 Guest Author https://www.targettraining.eu/wp-content/uploads/2013/04/logoWP.png Guest Author2018-06-07 10:51:522018-09-25 15:27:32Nine ways to Learn More … Effectively, Enjoyably and Easily! What are your challenges as an L&D manager? One of the things that’s burning at the moment is helping the managers I work with see the role they play in developing people. This is not a question of lack of willingness on their side – just a lack of awareness of the role they can and should play. For example, most of the time if they know that Dieter needs to improve his presentation skills, they send him on one of the 2-day presentation courses we run. When Dieter gets back, they expect that they can tick a box and say, “Well, Dieter can present now.” This is a start, but it isn’t good enough. It is not enough for them to assume that the training department or the training provider is going to solve everything alone. I need to help them see their role in developing their staff’s skills. How do you see the manager’s role in developing their staff? If we look at the 70-20-10 model, just 10% of the change will come from the training itself. 20% is when Dieter is learning from his colleagues, sharing ideas and giving each other tips and feedback. BUT, the other 70% will come from just getting up there and doing it (best of course, if supplemented with feedback and guidance where required). If the manager wants somebody to get better at a skill, they need to make sure there is plenty of opportunity for that person to actually use that skill, give them support and guidance and let them use what they are learning. This is clearly in the manager’s hands. I want our managers to be realistic in their expectations and see the role that they play in the developmental process. We work together. How do you see your role in this? I have a number of roles. I work to identify current and future training needs. I then organize practical training with training providers who are going to deliver what we need and challenge the participants to really improve. I also need to help our managers understand their role in developing our staff and encourage them to see training as a collaborative effort between them, the employee, us in L&D, and the training providers. And of course, the person getting the training needs to take some responsibility and ownership for their own development – and I can offer advice and support here too, both before and after the “formal” training. Our experts need to be present in the training and they need to actively look to use what they have learned and practiced after the training too. And again, this is where their manager plays an important role. The “secret L&D manager” is actually a group of L&D managers. They are real people who would prefer not to mention their name or company – but do want to write anonymously so they can openly and directly share their ideas and experience with peers. And if you’d like to share your thoughts and experiences without sharing your name or company then please get in touch. Nearly half a century ago Laurence J. Peter published his seminal work on selection and promotion, “The Peter Principle”. In this satirical look at why things go wrong in businesses, he argued that the selection of a candidate for a position is based on the candidate’s performance in their current role, rather than on abilities relevant to the intended role. Thus, employees only stop being promoted once they can no longer perform effectively, and “managers rise to the level of their incompetence.” His theory is so convincing that you feel it must be one of those natural laws that is just simply true, and indeed the Peter Principle is based on the behavioural observation that there is a strong temptation for people to use what has worked before, even when this might not be appropriate for the new situation. Over the last couple of decades I have had the impression that the Peter principle is either out of fashion or no longer as relevant. Management training is now so widespread that all managers are now allegedly agile, change agents, ace communicators and inspirational. Yet intuitively I have always felt the Peter Principle in its elegant simplicity must still hold true, so you can imagine my relief when I came across an article in the Times by Alexandra Frean entitled, “Rise of the accidental manager lies behind UK’s low productivity”. She uses the term ‘accidental managers’ and explains “they have excelled in their role and are rewarded with promotion to a management position that is entirely different from the job they have been doing, only to flounder when they get there.” Does this sound familiar? The focus of her article is that accidental managers are more prevalent in the UK and account for the UK’s poor productivity. According to Ann Francke, head of the Chartered Management Institute (CMI), four out of five bosses in Britain are accidental managers; so 2.4 million managers are probably not delivering to full capability. And international comparisons indicate UK managers perform 30% below the benchmarked countries of Germany and Scandinavia. Francke does not agree that good managers are born not made and makes an impassioned plea for more and better training. Building skills, knowledge and behaviors in young managers can provide spectacular results for years to come! Simply teaching and training simple skills for managing the task, the team and the individuals, does yield real returns. More investment at the beginning is a must especially training solutions for when they first move into management . Research consistently shows that when a training participant’s manager shows interest and involvement this is the single most important factor in transferring the training to the workplace. Involvement starts with explaining the purpose of the training and linking it to values, strategy and concrete business needs. It finishes with senior managers who are committed to delivering results through developing performance. And keep this human! There are hundreds of management, communication, team, interpersonal dynamics, and strategy models. Good management training understands that models can be useful BUT they need to be simple to grasp, easy to remember and actionable. And be aware of trying to bend a model out of shape just to fulfil a trainer’s desire to show how everything fits. Managers can deal with complexity too! It’s not what you know it’s what you do as a manager that counts. Discussing the role of feedback, exploring SCARF, sharing horror stories can be useful BUT the most important things is to get managers practicing, practicing and practicing. Skill drills change behaviors and build confidence. Yes, role-plays aren’t real but they give you an opportunity to experiment and practice! And my experience is that investing in business actors always add value too. This is why Target’s own leadership and management programs focus on doing (again and again). When a department manager asks us to “test their employee’s business English” there are typically 2 reasons – they want to know if somebody is suitable for a specific job, or they are looking for evidence that somebody has improved their business English. In both cases we fully understand the need for the information – and we often find ourselves challenging the idea of a “test”. HR & L&D, line managers, business English providers, teachers and participants are all familiar with the idea of tests – we’ve all been doing them since we started school – but as a business tool they have clear limits. Are language tests really the best fit for purpose when it comes to corporate English training? Jumping from nursing to our corporate clients, our InCorporate Trainers work in-house, training business English skills with managers in such diverse fields as software development, automotive manufacturing, oil and gas, logistics, purchasing etc etc . All these managers need to speak, read, write and listen and they need to do these within specific business-critical contexts such as meetings, negotiations, presentations, emails, reports etc. So how do we assess their skills? The key is in designing assessment approaches which are as close to their business reality as possible. In 2010, and in response to our client’s demand for a business-related focus, we developed a robust set of can-do statements. These statements focus on specific business skills such as meetings, networking and socializing, presenting, working on the phone and in tele- and web-conferences. Rather than assessing a software developers writing skills by asking them to write an essay on whether TV is good or bad for kids we ask them to share actual samples – emails, functional specifications, bug reports etc. They don’t lose time from the workplace and it allows us to look at what they can already do within a work context. The Business Can-do statements then provide a basis for assessing their overall skills. This “work sample” approach can also be used when looking to measure the impact of training. Before and after examples of emails help a manager see what they are getting for their training investment and, in cooperation with works councils, many of our InCorporate Trainers use a portfolio approach where clients keep samples of what they are learning AND how this has transferred to their workplace. This practical and easily understandable approach is highly appreciated by busy department heads. To wrap up, I understand that the NHS relying on a reputable off-the-shelf solution like IELTS has clear attractions. However, if you are looking at assessing at a department level then consider other options. And if you’d like support with that then contact us. https://www.targettraining.eu/wp-content/uploads/2017/06/checklist-2277702_1920.jpg 1440 1920 Scott Levey https://www.targettraining.eu/wp-content/uploads/2013/04/logoWP.png Scott Levey2017-07-20 13:11:362018-06-06 12:29:17Are language tests really the best way to assess your employees business English skills? A common question I am asked in client meetings is ‘What makes a “great” training provider?’ and then of course I’m asked to show that we are one. There are a lot of factors involved in being a great training provider, from having the right trainers, to providing relevant training (that is easily transferred to the workplace), and from having the right processes right down to the flexibility and adaptability of the program, based on the changing business needs of the participants. In part, our greatness is achieved because of great clients and we are very lucky to have many of those across Europe ranging in size and spanning numerous industries. Like great training providers share common characteristics, so do great training clients. Below are are three of them. Training, whether it be Business English, soft skill or leadership programs, is most successful when there is buy-in across the board. HR and L&D are important, but it is the buy-in from operational and line managers that makes a real difference. Managers at all levels and team leaders all have a role to play. The managers of our “great clients” share the “why?” behind the training. They look to link it to strategy and decisions, and show that they are personally expecting commitment and engagement. This buy-in keeps the participants focused and aware of why they are training on certain topics. This management buy-in also supports the work of HR and L&D, energizing their efforts and challenging them to challenge us when it comes to questions such as training design, transfer to the workplace, and continual improvements. So, if you have multiple levels of management, HR and participant buy-in, you will definitely see results tied to your company goals and get a lot more out of your training investment. When we put our heart and soul into delivering training, we love hearing that we are doing a great job. Even when the training doesn’t fully meet the client’s expectations, we want to hear about it. Our best clients understand that we value what they have to say and tell us openly, on a regular basis. The more consistent clients are with feedback, the easier it is to address any issues that may arise. Being clear about communication needs, proactively collaborating on training goals, content and methods, and sharing the background to decisions work to build robust relationships creates a lot of trust and understanding that leads to productive, long-term and fun partnerships. Win-Win is remarkably easy when both sides genuinely care about the other. It is great when a client knows what they want. It can make our job as a training provider that much easier – after all you know your staff, your corporate culture and what works well. AND, we also value the chance to apply our years and years of experience when the situation presents itself. Our best clients know that they can trust our expertise and, after exploring the whys and hows, are willing to give it a chance. We understand we have to earn that trust, but need a chance to do so. So, know what you want as a customer, challenge what your suppliers may suggest at times but also be open to new ideas as you may be pleasantly surprised what your supplier can do. How good is your business English? B1? C2? These terms didn’t mean much to most of us ten years ago or so, but today the Common European Framework of Reference for Languages (CEFR) is an international standard for describing language ability. It is used around the world to describe learners’ language skills. The 20 years of research the Council of Europe put into designing and rolling out the CEFR was undoubtedly worthwhile: we now have a robust basis for a common understanding of what language levels mean. However, the CEFR is not business English specific – it was was designed for general education purposes. It doesn’t directly connect to day-to-day business communication scenarios. It doesn’t directly meet the language training needs facing businesses and corporations today, nor does it directly address common business communication scenarios. In 2010, Target Training worked with the worlds largest courier company, Deutsche Post DHL, and another language training provider (Marcus Evans Linguarama) to close this gap. The outcome was a detailed set of can-do statements usable by employees, their managers and training providers alike. 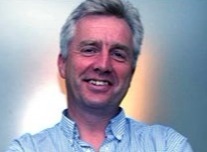 Chris Slattery lead the project at Target Training, and I asked him a few questions about this project. What made you want to get involved in this project? Chris: We had been working closely with the Corporate Language School at DP DHL for over 5 years, and they were keen to begin measuring their training investment. A major part of this was being able to measure learning progress. They had tried to use an off-the-shelf solution but it wasn’t working, and the CEFR was too abstract to use in a business environment. We’d been working closely together trying to make things work – and when it was clear that the tools just weren’t strong enough they asked us if we could build a business specific tool which was founded in the CEFR levels. We asked that if we were going to be the “developer” another provider be involved as a “tester” to ensure the end product was robust and practical. This is how Lingurama became involved, and this 3-way collaboration strengthened the project. The CEFR isn’t designed to recognize gaps in performance at work. Our Business English can-do statements mean that managers can identify where they would like to see an improvement in performance, and we then know how to get them there. How did you decide what a successful solution would look like? Chris: Quite simply, success was a tool that managers and participants could easily use when analyzing needs, setting goals and evaluating progress. We needed something that reflected the specific business skills managers are looking to improve. This meant we had to adapt what was in the CEFR and re-couch it in terms that were relevant for the business world. For example to move from academic and linguistic terms to practical business communication needs. Can you give an example of a scenario? Chris: Sure. Take someone who has had English at school and then worked in the States as an au pair for two years. They speak good English with a Boston accent. When they joined DP DHL they had the opportunity to join our InCorporate Trainer program. Whenever somebody new joins the training Target Training needs to assess their English skills. This lady got placed at CEFR B2, which shows a good degree of competency … but she had never worked in a company before joining DP DHL -and now she needed to go and deliver a presentation in English. How well was she going to be able to do that? Her general CEFR level is B2, but in her ability to give effective status presentations in English, she might be as low as A2. This discrepancy is huge. The CEFR isn’t designed to recognize gaps in performance at work. The Business English can-do statements mean that these managers can identify where they would like to see an improvement in performance, and we then know how to get them there. We needed something that reflected the specific business skills managers are looking to improve. This meant we had to adapt what was in the CEFR and re-couch it in terms that were relevant for the business world. For example to move from academic and linguistic terms to practical business communication needs. The full CEFR document is 273 pages long. Where did you start? Chris: We started by studying the CEFR document in real depth, and understanding how it was built and why certain can-do statements are phrased in specific ways. At the same time we also agreed with the client which business fields made the most impact on their day-today communication – skills like “presentations”, “networking”, “negotiating” etc . We then reread the CEFR handbook and identified which can-do statements could be directly transferable to business communication scenarios. Then we broke these business fields down into language skills, and used the can-dos in the CEFR document which best fitted these language skills. Our golden rule was that the can-dos had to be within the context of specific business skills AND easily understood by a department manager with no knowledge of language training. Sociolinguistic appropriateness at CEFR B: Is aware of the salient politeness conventions and acts appropriately. Grammar at CEFR B1: Uses reasonably accurately a repertoire of frequently used “routines” and patterns (usually associated with more predictable situations). Our Business English can-do statement for B1 Meetings: I can directly ask a participant to clarify what they have just said and obtain more detailed information in an appropriate manner. Chris: It took five months to write, test, rewrite, test and rewrite again. We then needed to repeat the process with a German language version too. At the end we blind-tested it with the client, and were delighted with their feedback. The roll-out took a few months. Today, internally, it’s still an ongoing project. As new trainers join the company, they need to learn how to use the tool to its full potential. The Business English Can-Do Statements toolbox also has a short FAQ and 4 ideas on how you can use them. If you’d like to know more, please contact us, or read more about the CEFR framework on our website. The most successful training happens when the participants have specific goals. A good needs analysis as well as input from managers help set these. Look for tangible business results, this will help you set your short- and long term goals. And, the more specific the goal, the better. For example: ‘Improving emails in English’ is a good start but ‘Handling billing requests from Indian colleagues via email’ is better. People learn 70% by doing, and only 10% through structured training. Allowing the training to be job-focused, and on an “as and when needed” basis produces learning that sticks. A training solution that integrates on-the-job support is highly effective. And, on-the-job training is extremely flexible. For example: It can be used for email coaching, telephone conference/meeting shadowing and feedback, presentation practice and feedback, etc. It allows the trainer to learn first-hand how participants use English at work. The importance of OTJ – a brief interjection: On-the-job support makes the training useful because it directly targets the training needs of the participant. Our on-the-job training and shadowing solutions are at the heart of the Target Training cycle and a core element of our InCorporate Trainer programs. These results can’t be translated into how someone has transferred their knowledge to the workplace. If performance in English has improved, the training is successful. Measuring knowledge and language (CEF) levels can be useful as an indicator but it isn’t very practical, nor is it always realistic in a corporate training program. For example: It can take 700 hours of training or more for an A1 (beginner) to reach a B1 (intermediate) level. This type of time investment isn’t possible for most working professionals, nor is it (always) in alignment with the organizational goals. Final interjection: A chain of evidence is created with Kirkpatrick evaluation model, showing how much training contributes directly towards business goals..
Internal training is often done via presentations and companies often use an internal “expert” to deliver training to other members of staff. Slide after slide appears on the screen and by the end, there’s a handout with the most important points and perhaps a summary. The upside of this type of training is that the information is first hand from the expert. One of the downsides is that the trainer often doesn’t have experience in training. He/she doesn’t understand how to make learning stick, or that only 10% of learning happens through structured training. (Read more about the 70-20-10 model.) Here are a few ideas to make your presentation based training interactive. If participants don’t know each other very well, a few icebreakers are necessary. A game called ‘find someone who’ can be adapted easily to any audience and topic. Beyond that, you can bring discussion cards, or tasks that participants have to do between slides. Especially when people’s interests are fading, stop the presentation and get them up and moving around the room. Ask them to brainstorm in groups, to summarize in pairs, to troubleshoot, or ask them to pick a position in the room based on how strongly they feel about a company/work-related statement. Ask them to present some of the key learning points of the presentation back to you half-way through and use it as an opportunity to align participant knowledge. When the participants leave the training room, what are they expected to do? They learned something but how will they transfer that to their job – that’s a good question to prepare yourself for. Before the training session finishes, take enough time to ask participants about their ideas, and also to give advice on making the learning stick. You may also consider a Personal Learning Plan. Here are just a few posts for you to explore if you want to learn more on this topic. We also offer a range of Train the Trainer and Workshop Facilitation seminars. One of the drawbacks of being a trainer is that now and again you fail to realise that what is obvious for you is new to others. 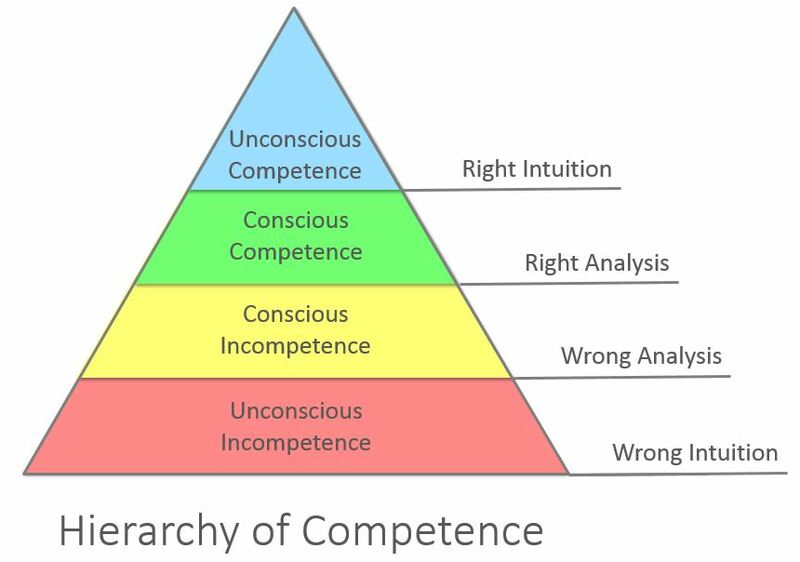 In a recent young managers program the “eureka” moment came when, following a young manager’s “Maybe I’m not cut out for this job” statement, I shared the “Conscious Competence model”. The model, developed by Noel Burch, has been around since the 1970s – and it’s a great way to prepare for and reflect on your development as a manager (or development in any other role). I assumed my participants knew the model already but they had never heard of it. This is a quick recap. Ignorance is bliss, and you don’t even realize that you are performing poorly. As a new, young manager perhaps you don’t even realize you are making elementary mistakes. Instead of delegating you are dumping tasks on people and walk away convinced you are empowering them to find their own solutions. Perhaps your tasking is incomplete, or maybe you don’t have clear goals because you didn’t consider this your role. Are you delaying giving feedback because you don’t want to upset anybody and it will sort itself out anyway – or perhaps the way you give feedback is so clumsy you demotivate somebody. The list goes on and on. You assume you know what y0u’re doing – it’s more or less the same as before but with the better desk and more benefits. You’re not aware that you don’t have the necessary skill. Perhaps you don’t even realize that the skill is relevant. In the first stage, your confidence exceeds your management skills. Before you can move to the next step you need to know and accept that certain skills are relevant to the role of manager, and that mastering this skill will make you more effective. Someone helped you understand that you need to develop a new skill. Or, you have been sent on a management training programme and your eyes have been opened. Or perhaps confronted by poor results you’ve actually taken a step back and reflected on what’s been going on and the role you’ve played. You are aware of your lack of skills. You are consciously incompetent. This is a difficult phase as you are now aware of your weaknesses, or in today’s insipid jargon your “developmental areas”. Nobody is born a manager, although some people may well have innate skills, making the transition to manager easier. Learning by feedback, learning by suffering, learning by doing and learning by failing – these things brought you to the second stage. Training can play a role as can learning from your peers and exposing yourself to opportunities to learn. By staying positive and embracing the small successes your confidence in your own management abilities grows. At this stage you have learnt some reliable management techniques and processes, but they have to be consciously implemented. It’s a bit like painting by numbers. You know how to facilitate a meeting well, but you still want to take time to reflect on the steps beforehand. You can make a great presentation and get your message across … and you know what you need to do in advance to get the success you need. You can provide feedback in an appropriate manner – but not without thinking it through beforehand. At this stage, your ability to be flexible and proactive in unexpected situations is limited – but you can do it. The task-oriented aspects of managing are becoming fine-tuned but it is still learning by doing, trial and error, or copying managerial role models. You are testing your limits. Quite simply you have become what you wanted to be – a skilled manager. The task and relationship aspects of managing are now “part of you”. You know how to achieve the task, develop individuals and build a team – and can do it without too much thinking. Non-routine situations are challenging, yet do not faze you. You are like Beckenbauer in football, or Federer in tennis. You always appear to have enough time and space to make good decisions. But even masters can lose matches and need to learn and practise. The model can be universally applied as a model for learning. It suggests that you are initially unaware of how little you know – you simply don’t know what you don’t know. As you recognize your incompetence, you acquire a skill consciously, then learn to use that skill. Over time, the skill becomes a part of you. You can utilize it consciously thought through. When that happens you have acquired unconscious competence. It will help you understand that stepping into a management role is a learning journey -and not an instant enlightenment. It reinforces that rank does not automatically give you authority. It reassures you that you can succeed as a manager. You just need space and time to find your feet. Understanding this dynamic and learning basic management techniques will quickly help you overcome the early frustrations. And finally you can manage your emotion as you develop. You are going through a well-known learning process. Nobody is born a manager! Considering the implementation of a Blended Learning (BL) program brings with it a set of questions and decisions that need to be made. Blended Learning has a huge number of benefits. We know through experience that it personalizes learning, it reduces training costs, it offers flexibility- to name a few. But where there are advantages, there are usually some disadvantages too. When technology is involved, people need to know how to use it effectively, and there are set up and maintenance costs involved – to name a few. When we help our clients set up a BL program, or when we train trainers on this topic, we advise them to plan and evaluate the outcome of the BL solution. The below questions will help you get started. If you think that Blended Learning is the right solution for you, great. What successes are you looking for by implementing a BL program? What are the benefits and challenges of implementing a BL program? There are face to face (seminars, 1-1 training, classes) and online elements (webinars, virtual classrooms, community learning) to consider. Chances are you won’t be using all of them. There’s no need. But you’re looking for the perfect blend, so you need to know which elements there are to choose from and how each of them are of benefit to you. If you don’t have access to an expert to ask, Wikipedia is always a good place to start. Which components of available BL solutions are in your toolbox? What are the benefits and challenges of these components? How easily can these components be implemented? How are you going to link content between the components? Not everyone will jump at the chance of exploring a new online system, not even if the learning benefits are obvious. It’s possible that not everyone needs to engage with all the BL components that are available, or to different extents. If you’ve dealt with change in the workplace, you know it already, buy-in is necessary if you want your BL program to hit the ground runnning. What does participant engagement look like? How can you maximize participant engagement? Which participants should use which components? The trainer is key to any successful training solution. You need their buy-in too. Their engagement with the training shouldn’t end when you move to the online component. And if your trainer is expected to deliver some of the online components, your success depends on their ability to utilize the tools available to them. Most trainers are keen to try out new things and will happily engage. Nevertheless, there is often a learning curve for the trainer. What is the trainer’s level of engagement with each of the components? Which skills does the trainer need to make the program successful? How can we close gaps in knowledge? How will we get trainer buy-in? What behaviours have changed at work as a result of the BL program? How do training objectives relate to business objectives? What do participants need to be successful? https://www.targettraining.eu/wp-content/uploads/2016/02/Fotolia_75888099_S.jpg 519 925 Guest Author https://www.targettraining.eu/wp-content/uploads/2013/04/logoWP.png Guest Author2016-12-14 14:50:552018-06-06 12:29:20Is Blended Learning the right solution for you?